Color Ciwt like this today. 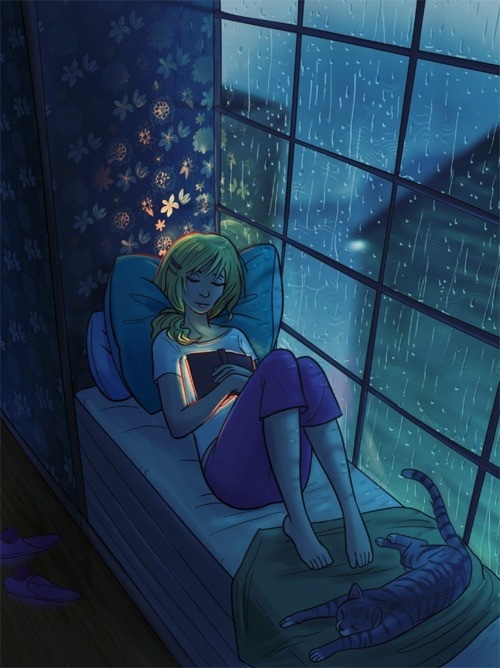 Reading a good book (Saints for All Occasions) in the subdued light as it rained today - oh, except for the blond hair, the teenage years, and, sadly, the cat. Still a very nice day for Ciwt and the Bay Area which loves the rain.